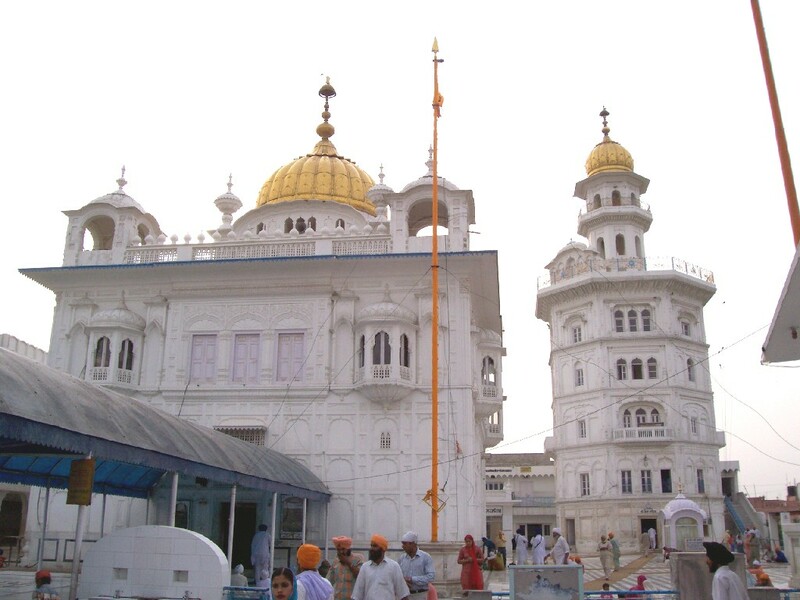 Gurudwara Baba Bakala is the historical shrine at Baba Bakala is associated with an important event in Sikh history. This gurdwara situated at village baba bakala on Gurdaspur road, a kilometre away from rayya(on amritsar road). 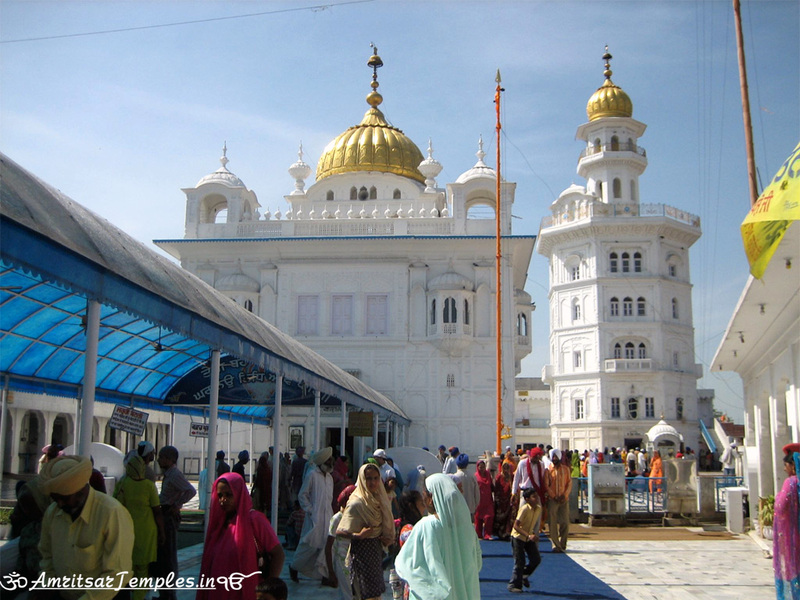 The shrine is associated with Guru Tegh Bahadur, Baba Makhan Shah Labana & Mata Ganga. 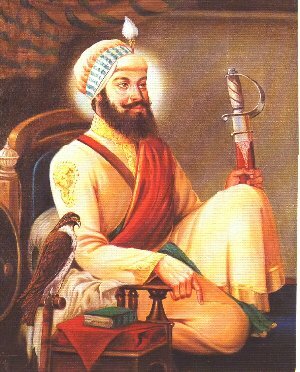 Before death at Delhi on March 30, 1664 Guru Harkrishan uttered these words ‘Baba Bakala’, thereby meaning that his successor was to be found at Bakala village in Amritsar. In Bakala there were many men who then claimed to be the Guru’s successor. This was the first time a Guru had not selected his successor in person. This created some anxiety in the sikhs. Makhan Shah Labana a trader from Jhelum district was aboard a ship carrying a load of his goods when it was caught up in a furious storm. Being tossed about by gaint waves that washed over the ship his life and goods were in great danger. 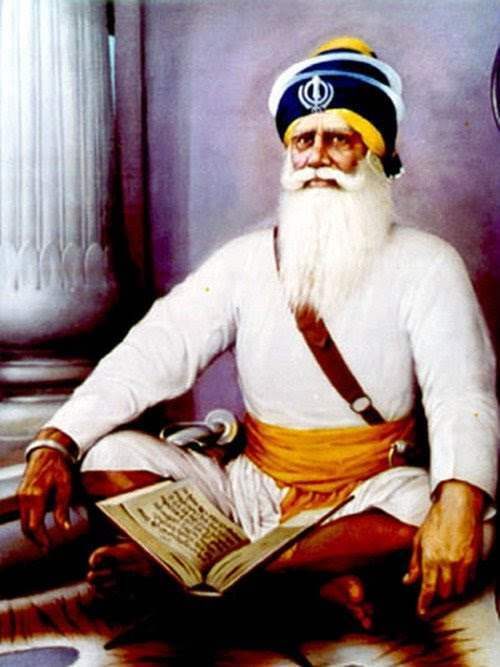 Helplessly, he knelt down and prayed to God and Guru Nanak for safety. He vowed that if by the grace of Guru he landed at the nearest port safely, he would donate five hundred Dinars to the Guru for charitable purposes. His boat was saved by the grace of Baba Bakala, for whom he was searching. He recognized that he was the true Guru, because he had saved the ship with solely the small finger of his hand. 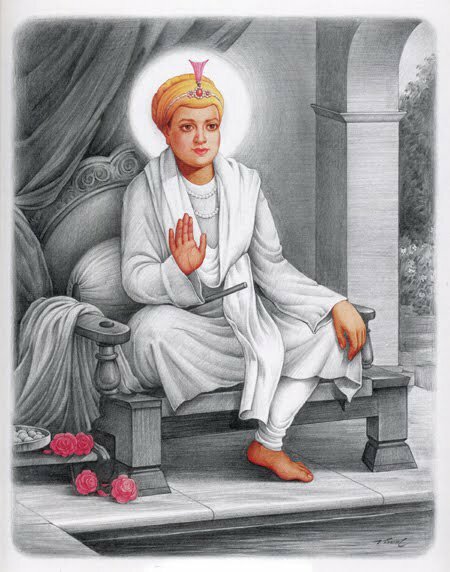 He felt that his life and goods were saved by the grace of the Guru, and as he had promised the Guru five hundred dinars the first thing he set out to do was fulfill his vow. 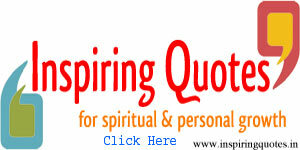 But on reaching Bakala he found that there were now many Babas, each imposter posing as the true Guru. He decided to offer only two Dinars to every one claiming to be Guru Harkrishan’s true successor. The true Guru would himself demand the exact amount he had vowed to give while any of the impostors would be satisfied with the two golden mohurs. Thereby, their own ignorance would expose their lack of spiritual insight and character. Since this historic event Bakala has become a place of pilgrimage. A beautiful Gurdwara now stands at the very spot where Guru Ji used to meditate in his underground cell. 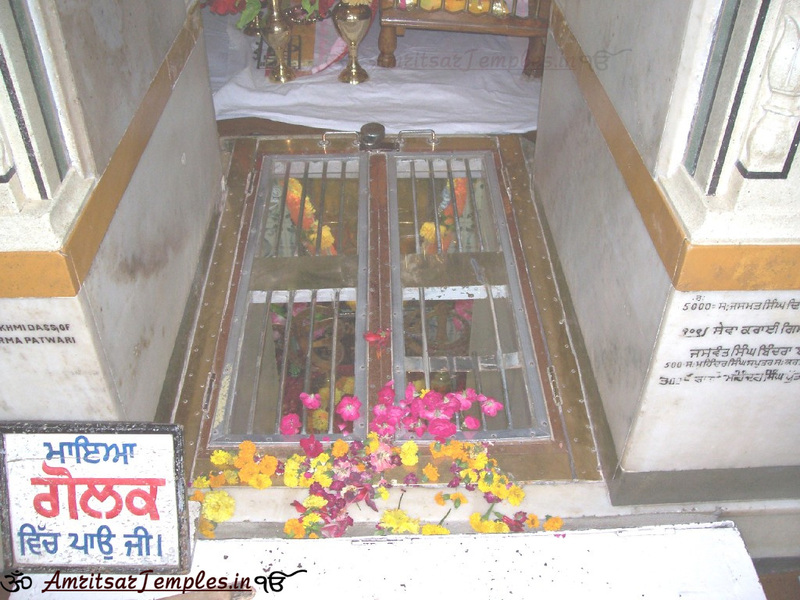 This small village where Guru Ji revealed himself subsequently, came to be called Baba ­Bakala. The Gurdwara has many beautiful paintings pertaining to Sikh history. People gather in thousands on every amavas night. 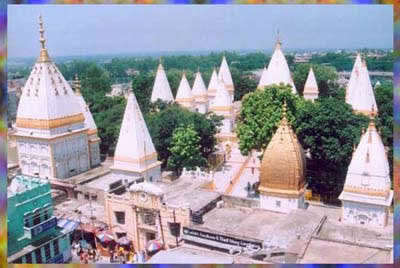 Besides an Annual Fair is held on Rakshabandhan day when many people throng this holy place from all over the country. It is situated only 3 km away from Butari railway station and is well connected by roads to important towns of Punjab. After finding guru Tegh bahadur the congregation set up the deewan. While preaching on deewan the Shia masand, who comes on footsteps of dhir mall, fired on guru jee and the bullet just went upon the turban without effecting guru jee. 26years 9 months 3 days guru tegh bahadur meditated here. From here guru tegh bahadur jee saved the ship of baba makhan shah labana. Makhan shah gave hauka of Guru Ladho rae here. 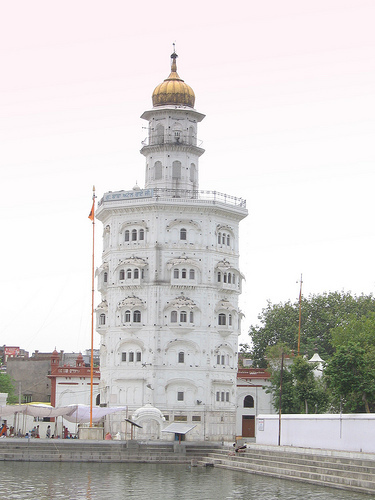 there is 9 floor building upon bhora sahib. 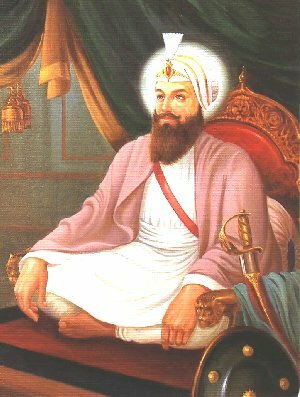 Here baba buddha ji dae bans bhai guditta jee tilkad guru tegh bahadur. Here guru hargobind singh’s mom, guru tegh bahadur’s grand mom i.e guru arjun dev’s spouse mata ganga leave his heavnly abode.